If you’re a content marketer, you’re probably measuring your content all wrong. It’s not just you. 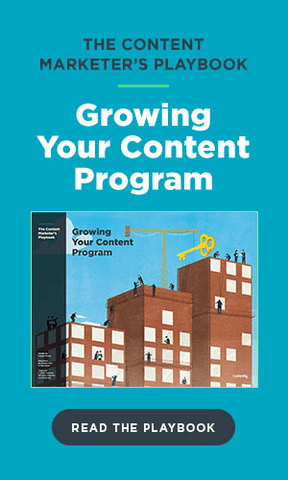 It’s everyone in the content marketing world—the thousands of CMOs, strategists, editors, and writers who go to work and use measurement methodologies and tools designed for media companies that make money by selling ads. For instance, you probably look at pageviews quite often. It’s probably the first thing you see. But do you know why it’s there? Because it relates directly to the goals of ad-supported media companies—to sell more ads based on the number of delivered impressions. Meaning: More pageviews equals more money. This is why we see the web infected with click-bait headlines (“You won’t believe what happened next!”) and 20-click slideshows. It’s not pretty, but it’s a strategy that supports ad-buying goals. Part of the beauty of being a content marketer is that you don’t have to care about pageviews. After all, selling ads is not your goal. But if that’s not your goal, what is your goal? Likes? Comments? Shares? If so—ask why. While vanity metrics such as shares, likes, and pageviews may indicate you’re having some impact, they likely don’t relate back to your ultimate goal as a content marketer: Making people respect your work, so eventually, they give you more business. There’s only one statistic proven to move the needle for brands in that way, as extensive studies by Forbes, BuzzFeed, and others have shown—the amount of time spent with your content. Active, engaged time, and repeated visits. For instance, users who spent time with Virgin Mobile’s content on BuzzFeed were 209 percent more likely to respond to “Virgin Mobile is a brand that understands me and the things thatI like.” When they were exposed to five to nine pieces of Virgin Mobile content, that figure skyrocketed to 389 percent. That’s why engaged time spent with content needs to be the new standard for content marketers. Unless, of course, your goal is making money off display ads. And in that case, good luck. Paul Fredrich is the VP of Product at Contently.